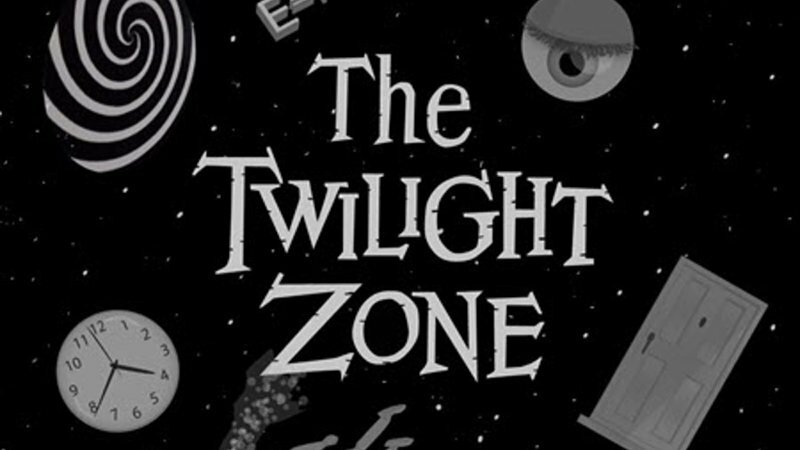 I was 10 years old when the Twilight Zone first aired. 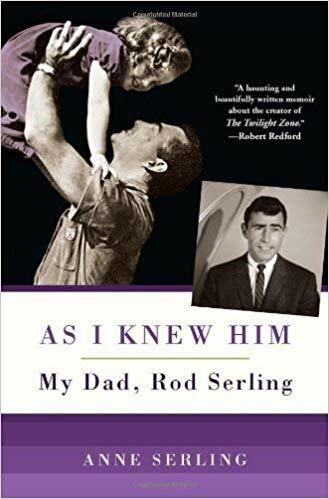 Rod Serling was never visible on screen until season two but the voice had a presence , a commanding voice that could scare the hell out of an audience. I was just young enough or smart that I was never scared, rather I was hooked on the series and its premise and could not wait until the next episode. Born of Jewish heritage on December 25th, Rod described himself as a Christmas gift that was delivered unwrapped. Rod is a devoted son and cares deeply about his parents. Family is everything. When he is about twelve he gets his first job in a local toy store His employer would later write, “Roddy: Nice kid but plays with the toys too much.” In high school he wants to play varsity football but is discouraged by the coach because he found it difficult to reconcile playing a quarterback who weighed less than the team bulldog. Soon he joins the debate team, student council, the drama team, editor of the school paper and member of the honor society. Rod is always a head shorter than the other students. He and friend Julie Golden join the Boy Scouts. Popular among his contemporaries he was later blackballed by some ULPS members for dating non-Jewish girls. The fight against discrimination and prejudice will remain central throughout his life. The Japanese Armed Forces attack Pearl Harbor. War is declared against the Japanese. Twenty-four hours later Germany and Italy declare war against the United States. Congress reestablishes the Draft. 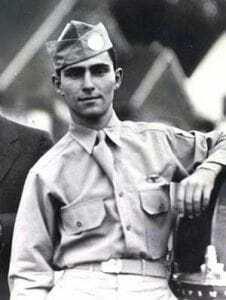 Graduating in 1943, rod will soon enlist in the U.S. Army’s 11th Airborne Division. Tapped as the littlest damn paratrooper, Rod’s “guts” got him through basic training and Jump School. Frequent letters keep him in touch with home and family. Rod’s brush with death comes when a Japanese soldier suddenly comes out of the bush, gun pointed directly at Anne’s father who freezes; he can’t move. Salvation comes at the hands of another soldier just before it was too late. Many years later Anne hears her father relate this story to a friend who visited their cottage in upstate New York. On patrol one afternoon, Rod is wounded by an exploding mortar shell, sending shrapnel into his wrist and knee; receiving the Purple Heart and the Bronze Star for bravery. Rod serves in the Pacific until wars end. Shortly before he is ready to leave he gets news from the American Red Cross that his father has died of a heart attack at 52. His request for emergency leave is refused. The refusal has a devastating effect and is a loss from which he never truly recovers. Years later he will return to the Philippines in 1965. Walking the same ground after twenty years his memories of those days return with infinite clarity. 1946: Yellow Springs, Ohio. Rod is a freshman. Along with many war vets he carries the emotional scars of battle, for which, at the time, there is no real treatment. Many vets suffer from the aftermath–insomnia, panic, and haunting flashbacks. Rod feels a kind of compulsion to get some thoughts down and the desperate need for some sort of therapy. He needed to get it out of his gut, to write it down. this is the way it began. Changing his major from PE to language and literature this proves the way back to his once, gregarious nature. Rod writes, directs and acts in a weekly production on a local radio station. While at Antioch, Rod meets, Carolyn Kramer from Columbus, Ohio. After some misgivings by her father and grandparents they are married in 1948. They will spend their honeymoon at the cottage by Cayuga Lake. 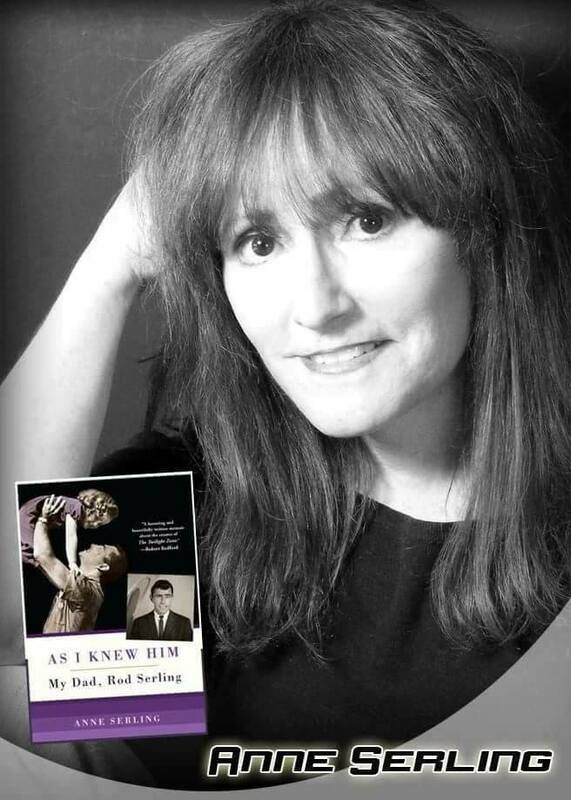 Her father did not like Jews and Rod had an absolute antipathy to any form of prejudice. He would write about it throughout his career. In time, Anne’s parents would forgive her grandfather. Writing whenever he can his first big break comes from Dr. Christian’s radio show. He has won second prize for his script, “To Live a Dream,” about a dying prizefighter who wants to help a young fighter succeed. The prize is $500 and a trip to New York where he will Meet Earl Hamner who will later write for the Twilight zone. In 1950 Anne’s parents move to Cincinnati where he worked as a staff writer for radio station WLW writing folksy dialog for two hayseed entertainers. Being at the right place at the right time in the early days of television in the 50’s, Rod sells scripts to Kraft Television Theater, Studio One and Lux Video Theater. Many times he would fly from Ohio to New York to participate in story conferences and rehearsals of his shows. Young, and trying to establish himself as a writer, he was the proverbial kid from a small town. Every time he walked into the Network Office he had the, strange, persistent feeling he was wearing overalls and Li’l Abner shoes. He writes, “his diet consists of black coffee and fingernails.” The persistent regimen of writing and submitting TV plays and subsequent rejections takes it’s toll. it’s obvious the family budget is strained but what it does to a writer’s personality is worse. But his luck will change. Lux Theater buys 11 of his 12 scripts; there is a glimmer of hope and he is at the turning point of his career. The receptionist doesn’t ask you to repeat your name or ask you how to spell it. Rod would receive offers for TV writing assignments, motion picture offers and many requests for interviews. There were lunch offers from Broadway producers and offers to discuss novels with publishers. Patterns will win him his first Emmy for Best Teleplay Writing. he soon finds he can sell anything. of the dinosaur. Pre-recorded shows became the norm so writers were moving west. In 1958 they moved the family to Pacific Palisades, California. Life is good and, Rod, the doting father will play Crazy Eights or Go Fish and he will tuck kids into bed. When she is scared she will call out, “Dad? Daddy? Dad?’ and he will talk in a soft voice telling her why she should not fear the dark. Her Dad dutifully checks under the bed for imagined monster which she is sure are hanging there. Mom is the disciplinarian, seeing that the girls do everything they should. Dad’s anger can be formidable if he had a long day or is stressed but they know it is fleeting. Time and again he would be called upon to edit his stories so as not to offend sponsors or bigots in the general public while contemplating his next career move. The Twilight Zone is about people, about human beings involved in extraordinary circumstances, in strange problems of their own or fates making. It takes a lot of perseverance to get it off the ground. The first pilot “the Time Element” is bought by CBS and shelved for two years until it is picked up by Bill Granet of Westinghouse Desilu Playhouse. Lucy and Desi wielded significant power in the world of 1950’s television. Despite Ad Agency opposition Desi convinces CBS to air it as part of their 58-59 season. With a second chance he begins writing “Where is Everybody” the story of an astronaut who finds himself alone in a strange, vacant town. The Twilight Zone makes him famous, from a well-respected TV writer to a celebrity and public personality. Narrators were selected and rejected until Rod suggested he should do it, and so the “Voice” was heard at the beginning and end of each episode. When the Twilight Zone premiers on Oct 2, 1959, Anne is four years old. and allows she has no idea what her father is doing when not playing with them. Showing them how to blow on a blade of grass to make it whistle, or chasing them around the yard. Anne and her sister often sneak into their fathers office to get the variety of sweets there that their mother wants to limit. Life becomes bicoastal traveling back and forth with all their pets between California and upstate New York. Summer vacations, after school is out and before her Dad has to write new scripts for the Twilight Zone they vacation at the cottage by the lake. Her Dad relishes the peace and quiet and the lazy afternoons of summer. In 1962, CBS drops the Twilight show and Rod takes a teaching job at Antioch before he learns that CBS has picked it up for a fourth season. He relishes the chance to exhale with the opportunity to pick up a little knowledge instead of trying to spew it out. A need to regain perspective and spend time with his wife and family. 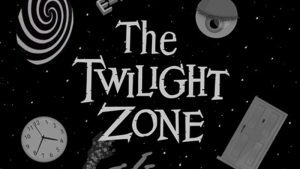 They move to Ohio and CBS does renew The Twilight Zone but with an hour long format, because bigger TZ might attract a bigger audience. Rod will still write a number of scripts but steps back from the day-to-day involvement. Teaching and writing place Rod under extreme pressure and the few months they spend at Yellow Springs are not the respite he intended. Attempts to reenergize and revitalize prove futile. Summers at the cottage never seem long enough and it is time to return to California. The flights are long and their mother brings little gifts to wile away the time. The final episode of TZ airs In 1964. Even with all that is happening he still finds time for humor and some practical jokes. On one occasion her bedroom is being redone while she is at school. Racing home to inspect her new room she spies something odd in the corner. One of the dogs has pooped on her new rug. Jumping back in disgust her dad walks over and picks it up in his hands. Staring in disbelief her dad breaks out into laughter. “I got you!” It is plastic dog poop from the novelty store. For months they take turns hiding it in each others space. Jodi and Anne are away for weeks at camp during those summers in that decade. Their dad always kept in touch through letters whether they be short, long, often funny, hand written or typed. Years later they will still give Anne some comfort. In 1969 he shifts gears to host a show called “Liar Club” where guests are given esoteric Items to describe but only one knows what it truly is. Rod is never told what it is to evoke an honest reaction at the truth. Although it was just a game show Anne believes he did it just because he has a silly streak. 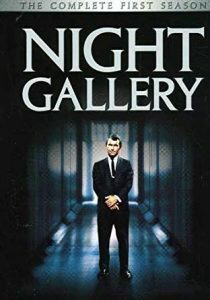 Night Gallery first airs in 1969 and runs for three seasons. Her Dad writes for the series but soon recognizes he does not have creative control and it is a grave error. …must come to their inevitable conclusion. Anne and her dad were more than just father and daughter; they were best buds–pals–playmates. Jokes and pranks between the two were the norm. Together they were as if a single person being so much alike. Apart they always kept in touch through the mail, addressing each other by pet names. Family and friends were devastated. Anne’s loss would be with her for years. Her odyssey back to understanding and acceptance would be a slow but steady one. I never met Rod Serling, all I knew of him was the voice on the television. 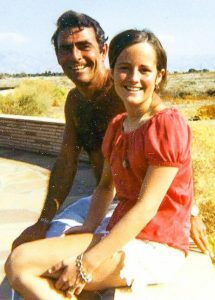 But Anne’s story was so poignant and thorough I actually felt some remorse by the time the chapter of his passing came. This is as far as I will go with this saga; I think I have sufficiently set the stage for you to grab a copy of Anne’s book for yourself to see how the journey back to being whole again turns out. If you’d like to join the fun in the FB Page–The Twilight Zone–click the link. If you enjoy reading books do you write reviews? Here’s why you should in my Post, Writing Reviews and Why It’s Your Duty. Before you leave please sign the Guestbook.